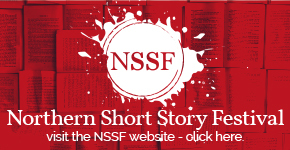 The Walter Swan Short Story Prize 2017-18. Announcing Our Shortlist, Prize Giving and Anthology Book Launch! The Walter Swan Short Story Prize 2017-18. Announcing Our Longlist! #foundfiction Launch. A Guerrilla Publishing Experiment that Connects Readers and Writers Across the World. The Walter Swan Short Story Prize 2017-18. We Have Our Longlist! Less Than 3 Weeks Left to Enter The Walter Swan Short Story Prize 2017-18. Love Arts Festival 2017 is Back!